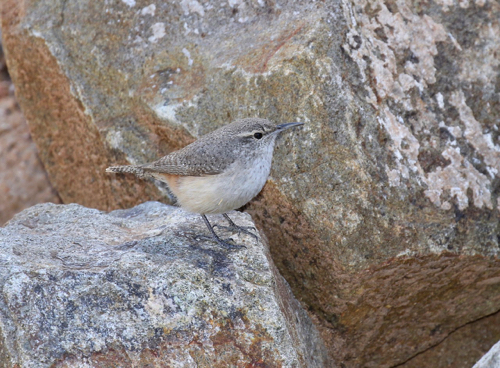 One would think that reports of staked-out rarities at the time of a tour would be welcome news. Curiously, though, such is not necessarily the case. If there are too many of them, the time spent searching for them can cut into the time needed to look for other things. 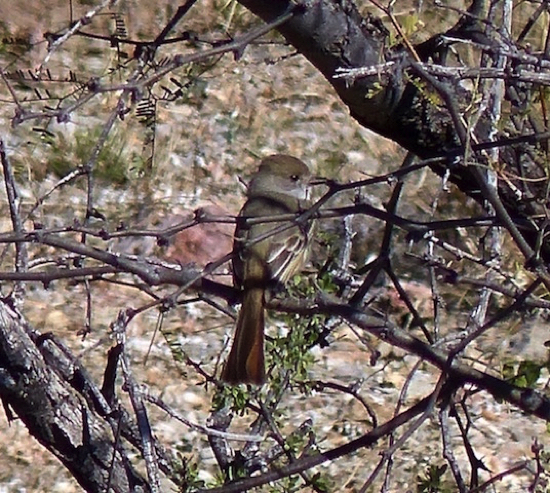 While it was fantastic for us to relocate the Nutting's Flycatcher at California Gulch (a lifer for all, including Jeff and me! ), this side trip took up most of Day 5. 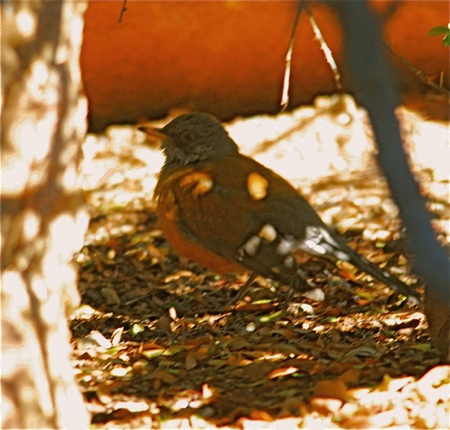 Exciting as well was finally seeing the Rose-throated Becard along the de Anza Trail on Day 8, though most of the day before was spent coming up empty looking for both the becard a staked-out Rufous-backed Robin on this trail. 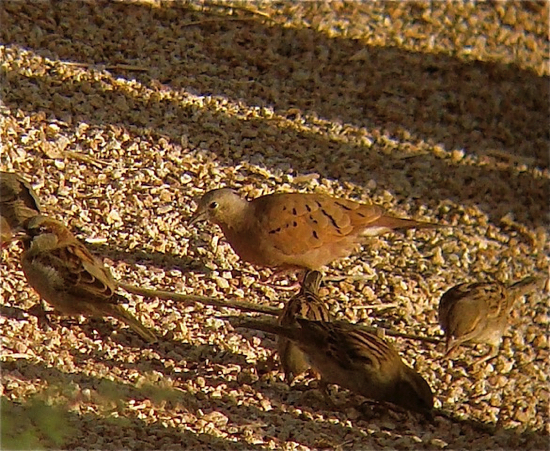 And our first vigil at the alleged Rufous-backed house was rewarded by a Ruddy Ground-Dove on Day 4, although we spent too many hours then and on Day 8 waiting in vain for that robin to emerge into view from its back-yard hiding place. 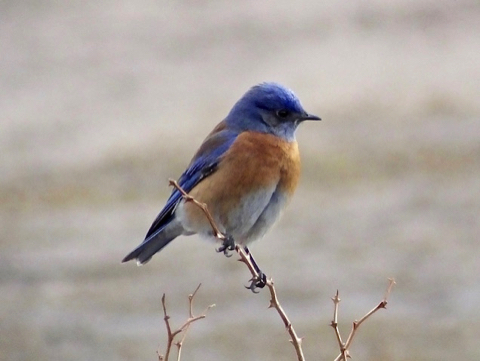 But don't get me wrong here – for us to connect on these three rarities was quite a feat, especially considering that they were so elusive (almost as difficult as those robins), and many other birders were never able to find them! Still, it would have been nice to have more time to look for other birds missing from our list – things like geese, cranes, thrashers, and sparrows at Whitewater Draw and vicinity; tyrannulets, bushtits, Rufous-capped Warbler, Painted Redstart, and others at Madera and Florida canyons; and we could have used more time trying to improve the looks we had of Elegant Trogon (at The Gulch) and Black-capped Gnatcatcher (at Patagonia Lake). Besides more time, we could have also used better weather on some days. Witness the 40-degree temperatures and steady rain as we tried to watch the feeders at Madera Canyon on Day 7, and it was again around 40 the next day at Florida Canyon as this time we faced snow/sleet showers, strong winds, and a swollen creek that precluded any access beyond the parking lot. 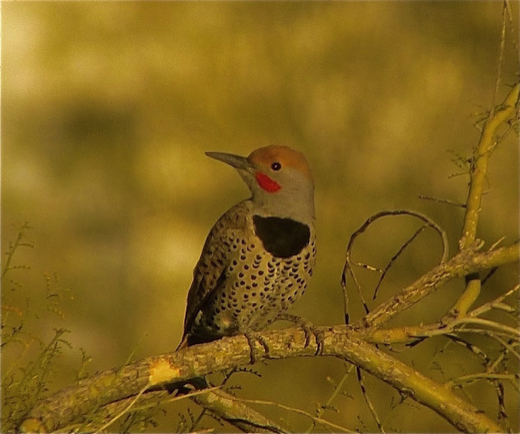 And there were no thrashers to be heard on our two visits to those desert flats west of Phoenix as it was too cool and overcast for anything to sing. 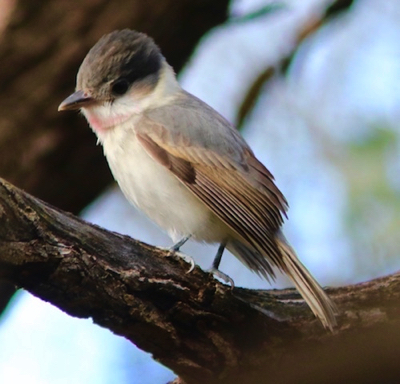 Our final species total managed to reach an even 150 – as expected, given our retraints of time and weather, this was below our average for this trip (previous MBWeek totals here in winter have ranged between 158 and 170). 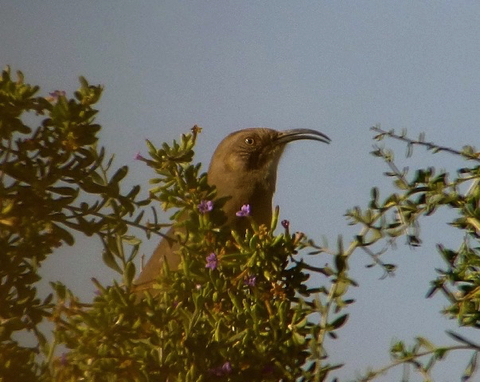 Still, we had a long list of special and memorable birds in addition to those five rarities highlighted above. In all, we found 67 "non-Minnesota" birds, with probably the best of these including the Violet-crowned Hummingbird at Paton's, the flock of 22 Mountain Plovers right near the road and the Ferruginous Hawks at the Santa Cruz flats, both Whiskered and Western screech-owls on the same morning near Sierra Vista, a good variety of woodpeckers (especially Acorn, Red-naped Sapsucker, Arizona, and Gilded Flicker), Rosy-faced Lovebirds in Phoenix (Jeff's other lifer), both Hutton's and Plumbeous vireos, the five wren species at Boyce-Thompson, no fewer than three Crissal Thrashers, handsome Black-throated Gray Warblers, Canyon Towhees perched on our minivans' mirrors, an abundance of Abert's Towhees at Gilbert Water Ranch, side-by-side Sagebrush and Bell's sparrows at the thrasher flats, a striking Yellow-eyed Junco in the rain at Madera, and much more. January 14: Arrival at PHX; late afternoon option to Kiwanis Park; dinner at Joe's Crab Shack and first of 2 nights in Tempe. January 15: Thrasher flats @Salome Hwy & Baseline Rd, Estrella Mountain Park, Encanto Park, and Scottsdale Ranch Park; dinner at Claim Jumper. January 16: Gilbert Water Ranch, Boyce-Thompson Arboretum, and Oak Flat campground; dinner at Red Estilo Mex and night in Casa Grande. January 17: Santa Cruz flats (especially Evergreen Turf Farm and Baumgartner & Wheeler house), El Rio Open Space, and Reid Park; dinner at Cattletown and night in Tucson. 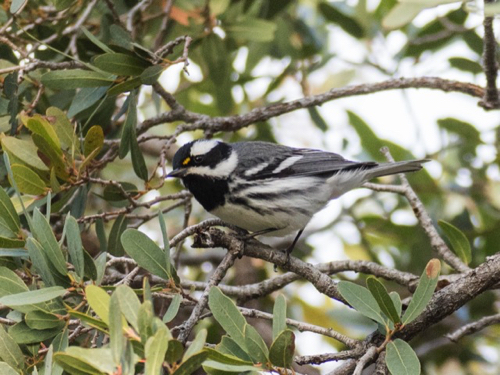 January 18: California Gulch (via Arivaca Rd, Ruby Rd, and Warsaw Canyon Rd), Paton's feeders in Patagonia; dinner at Steak Out and night in Sierra Vista. January 19: Pre-dawn owling in Miller Canyon, San Pedro House, Sierra Vista WTP, return to Paton's feeders, Patagonia Lake State Park, and Amado sewage ponds; dinner at Cow Palace and first of 2 nights in Tucson. January 20: Tumacacori part of de Anza Trail, Tubac portion of de Anza Trail, and Madera Canyon; late lunch/early dinner at Cow Palace. January 21: Return to de Anza Trail @Clark Crossing Rd area, Florida Canyon, Saguaro Nat'l Park West, Mile Wide Rd, and return to Baumgartner & Wheeler; dinner at Carlito's and final night in Tempe. January 22: Morning option to Salome Hwy & Baseline Rd, and return flights home from PHX. following the summaries of the 2019 and 2017 MBWeeks. 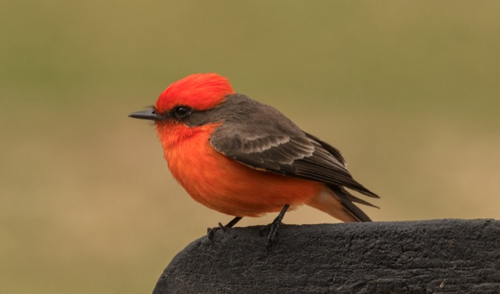 Considering that we came up with a grand total of 181 species – the most ever for this MBWeek, about 10 more than our previous best, and no fewer than 30 more than the last trip here in 2017 – well, by almost any measure this trip has to be considered a success. Consider as well that our list included 82 “non-Minnesota” species: i.e., those only on our Casual or Accidental list, or those never seen in MN. 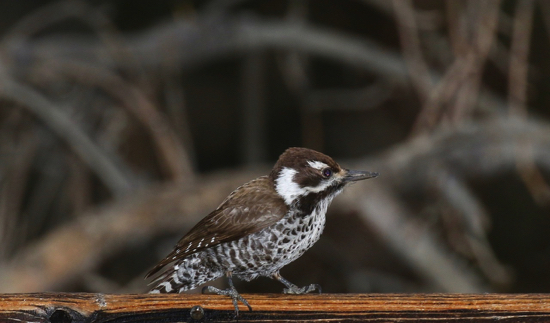 True, our grand total was about 20 species less than on the California MBW the week before, but AZ always has far fewer water birds to see: note that we only had 16 ducks and 11 shorebirds, compared to 23 of each that the CA group listed. 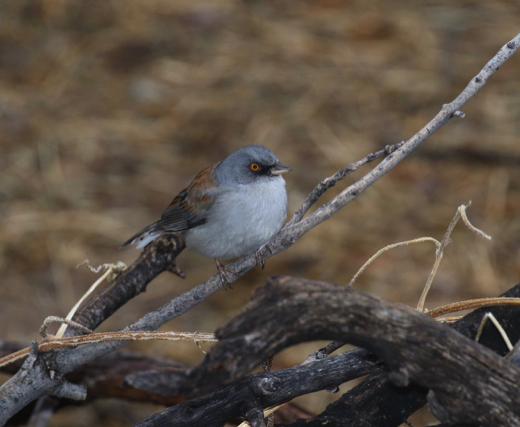 But despite how well we did with finding birds, the real highlight of this week had to be meteorological rather than ornithological, as we managed to escape some downright brutal weather back home. This was especially true on January 31 when the low temperature hit minus 56 degrees in Cotton (i.e., in the Sax-Zim Bog); and this was the absolute temperature with no wind-chill factor involved. Not only was this just 3.5 degrees shy of the all-time Minnesota record of -59.5 (in Tower in February 1996), but meanwhile on the 31st where we were the high was +74 – a mind-boggling 130 degrees warmer than in Cotton! 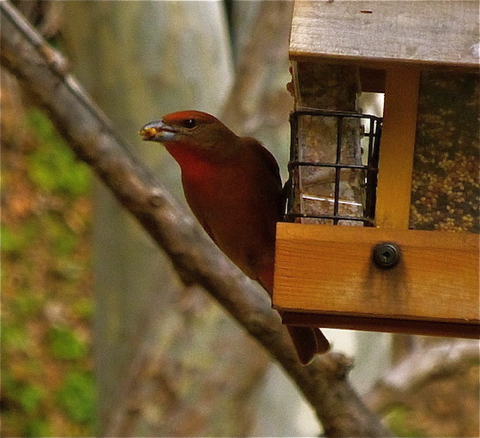 It’s more fun, though, to talk about our birding highlights. 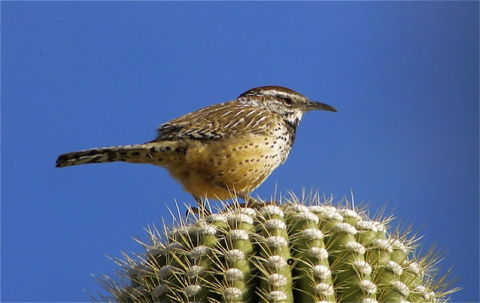 Our first full day began at the so- called thrasher flats west of Phoenix where we had exceptional views of both cooperative LeConte’s and Bendire's thrashers, along with Sagebrush and Brewer’s sparrows (2 of our trip list of 22 sparrow species). 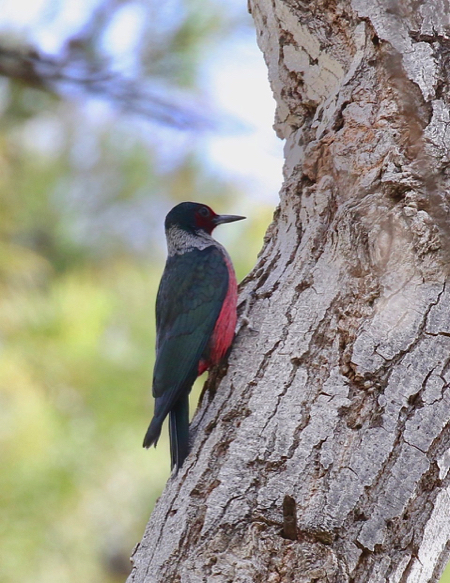 Next, a pair of obliging Ruddy Ground-Doves was still staked-out for us not far away, and the day ended with Gilded Flickers at one park and now-countable Rosy-faced Lovebirds at another. 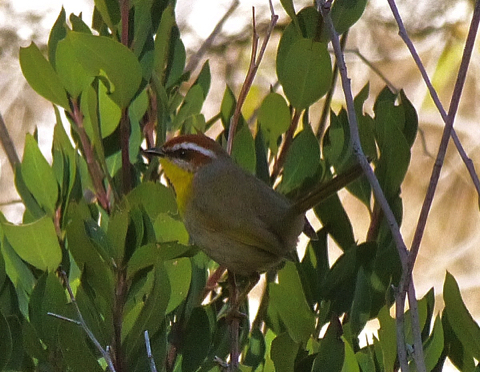 The next day was mostly at Boyce-Thompson Arboretum where our only Lewis’s Woodpecker was being seen, and twice we had all three vireos (Plumbeous, Cassin’s, Hutton’s) together in separate waves of wintering passerines. 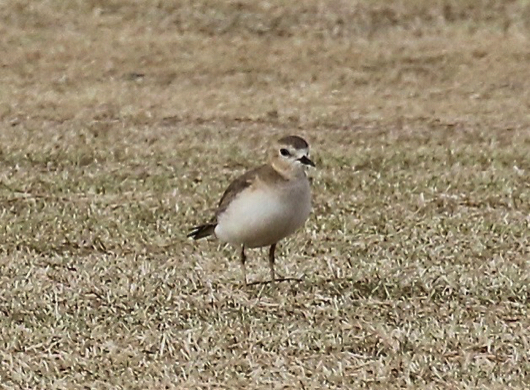 Our highlights the next day in the Santa Cruz Flats included no fewer than 97 Mountain Plovers together at a sod farm and both Sage and Bendire’s thrashers nearby before we moved on to Sierra Vista. 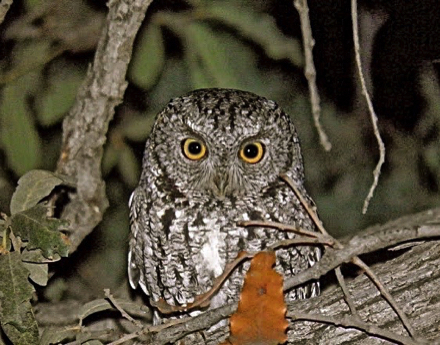 Our time there featured a roosting Western Screech-Owl and more at San Pedro House; impressive numbers of cranes, our best Gray Flycatcher, and a Prairie Falcon in the Whitewater Draw area; and at night we called into view both Whiskered and Western screech-owls in Miller Canyon. 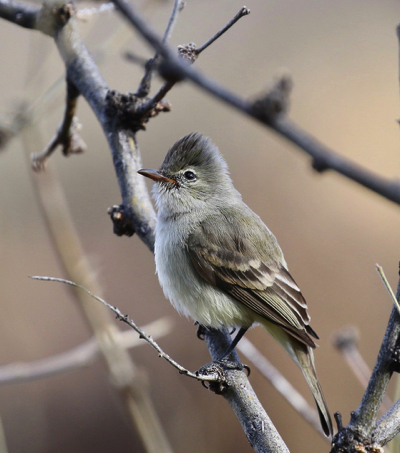 Violet-crowned Hummingbirds were next at Patagonia’s feeders, and at the state park we puzzled over Empidonax flycatchers and a vagrant phalarope (initially IDed as a Red-necked, it was actually a Red). 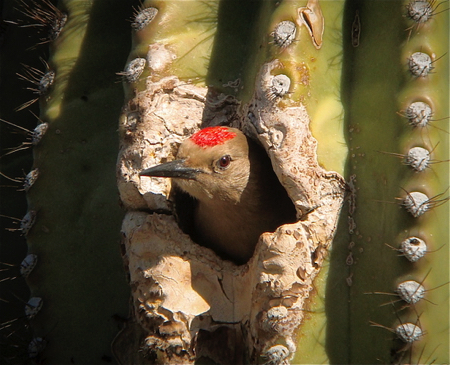 But our best birding was saved for last along the I-19 corridor beween Nogales and Tucson, especially at Madera Canyon. After three visits there we finally had close looks at an elusive White-throated Thrush (the first U.S. record outside of Texas), a vigil at an Elegant Trogon’s favorite tree eventually provided nice looks for everyone, we had careful studies of Black- capped Gnatcatchers, and at the feeders were Blue-throated and Rivoli’s hummingbirds, Arizona Woopecker, Yellow-eyed Junco, and Hepatic Tanager. 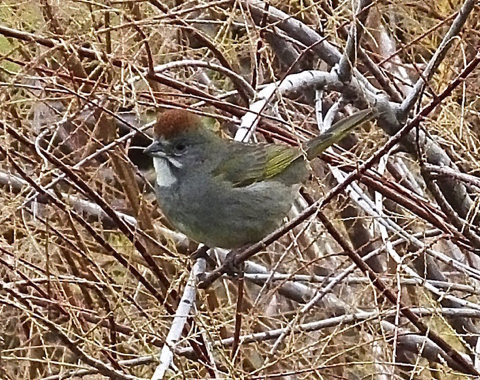 And at nearby Florida Canyon we had our only tyrannulet, Crissal Thrasher (mostly heard- only), Black-chinned Sparrow, and Peg briefly saw a Rufous-capped Warbler (which disappeared before anyone could relocate it – though Jena did see it after the MBW ended). 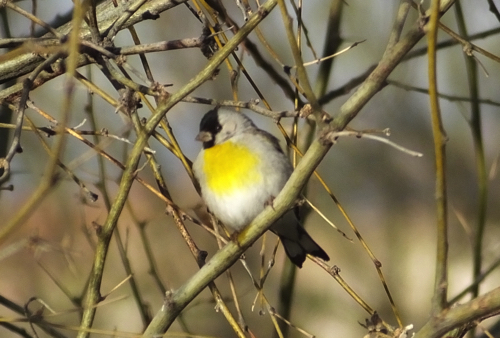 Not far away at Canoa Ranch Park there were dozens of Lawrence’s Goldfinches (maybe 100+?) on one visit and our only Cassin’s Sparrow on another. We even found time at literally the last minute on the final day to see an out-of-season Greater Pewee en route to the airport. January 27 - Arrivals at PHX; time-permitting options to Gilbert Water Ranch, Tempe Town Lake, Zanjero and Encanto Parks; first of 2 nights at Baymont Inn & dinner at Coyote Grill. 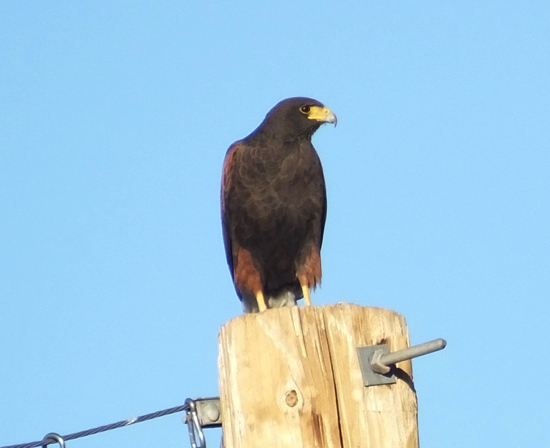 January 28 - Salome Hwy & Baseline Rd thrasher flats, Hazen Rd ground-dove yard, Estrella Mountain Park, and return to Encanto Park; dinner at Coyote Grill. 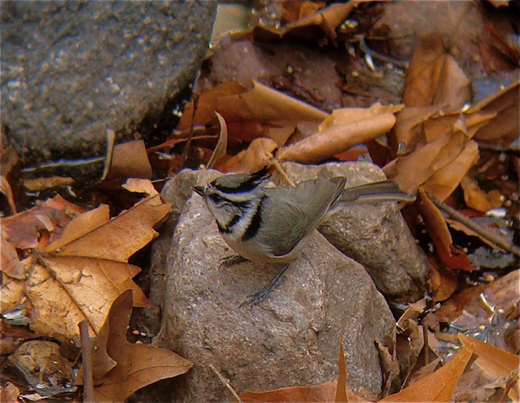 January 29 - Zuni Park (sapsucker search), Boyce-Thompson Arboretum, and drive to Casa Grande; night at Comfort Inn & dinner at Mimi’s. January 30 - Santa Cruz Flats/Evergreen Sod Farm, El Rio Open Space, Madera Canyon, and drive to Sierra Vista; first of 2 nights at Sierra Suites & dinner at La Casita. January 31 - Ramsey Canyon (briefly), Sierra Vista sewage ponds (briefly), San Pedro House, Charleston Rd (briefly), Whitewater Draw & vicinity, and Miller Canyon owling; dinner at Ricardo’s. 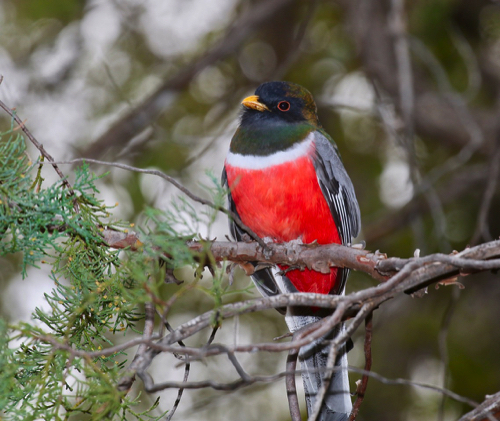 February 1 - Paton’s feeders, Sonoita Creek TNC Preserve, Patagonia Lake State Park, and drive to Nogales via Kino Springs and Rio Rico (briefly); first of 3 nights at Holiday Inn Express & dinner at Ragazzi’s. 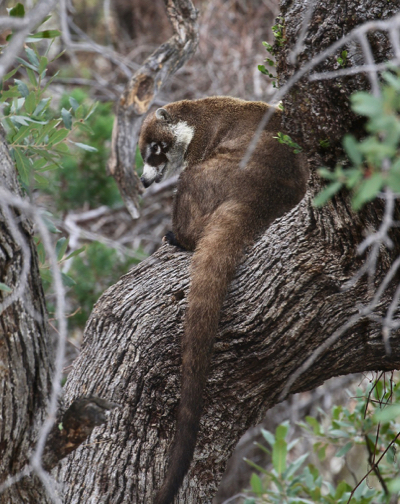 February 2 - Morning in Madera Canyon, afternoon at Florida Canyon, and Amado sewage ponds; dinner at Firefly. 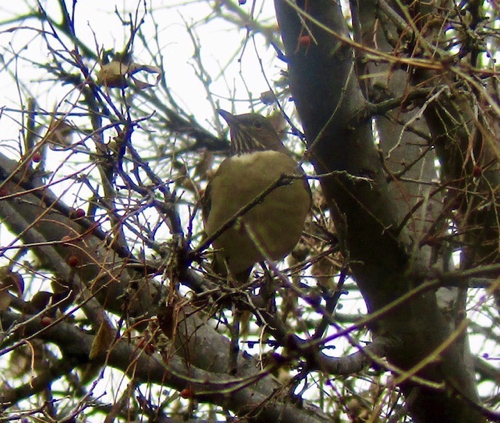 February 3 - Canoa Ranch Park, Sweetwater wetlands (in the rain), and return to Madera Canyon; dinner at Green Valley Ragazzi’s. February 4 - Bridge Rd in Tubac (briefly), return to Canoa Ranch Park and Florida Canyon, and Reid Park in Tucson; flights home from TUS.